A day at the beach is always better when you have fun toys and games to play! 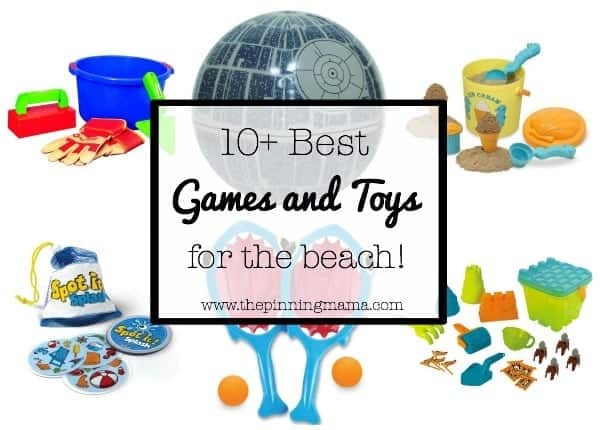 Here are some of the best games and toys for kids and families for a fun day at the beach. 1. Beach Volleyball – There is just something about playing volleyball at the beach am I right? So fun and a great active game for the whole family. 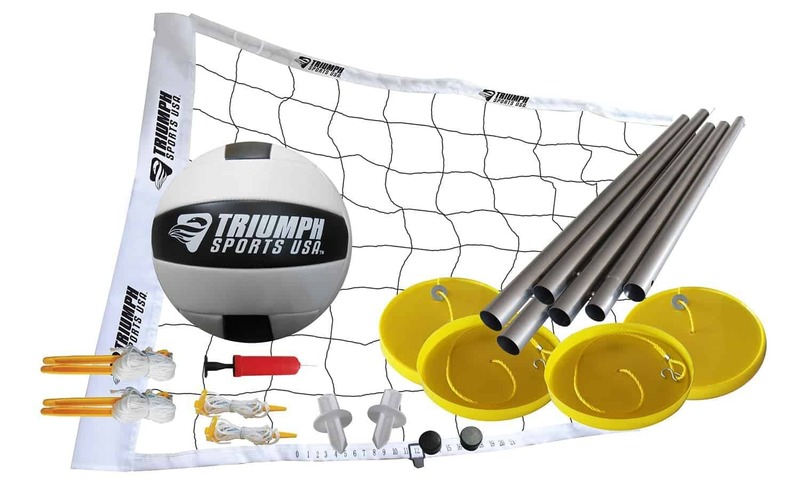 This pack is great because it even comes with a full size volleyball and everything fits into a carrying case so you can pack it up to take and again when you come home. It is a hit on a camping trip too! 2. 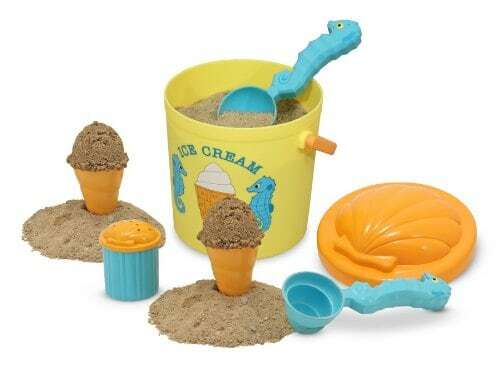 Sand Ice Cream Set – This is a whole new way to play with the sand! The kids will love adding as many scoops as they can to this ice cream tower! My daughter would so love playing with this unique beach toy! 3. 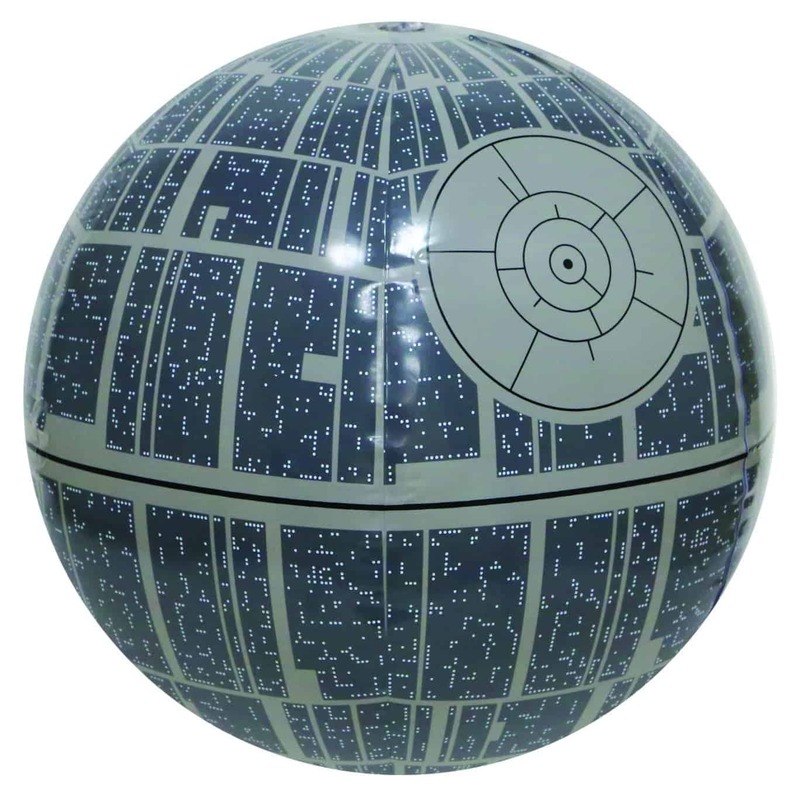 Death Star Beach Ball – A simple ball can keep the whole family having fun for hours! The boys in your life will especially thank you for getting them this fun Star Wars themed beach ball, and not just the little ones! 4. Sand Hole – Some call it washers, some call it corn hole, but whatever it’s called, our favorite backyard bbq game is now beach ready! 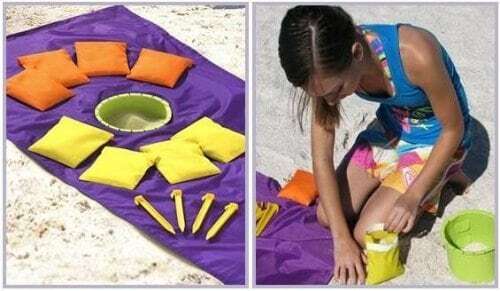 The kids and adults will love this game and I love that you fill the bags right there at the beach with sand which makes this game small and compact enough to throw in your bag! 5. 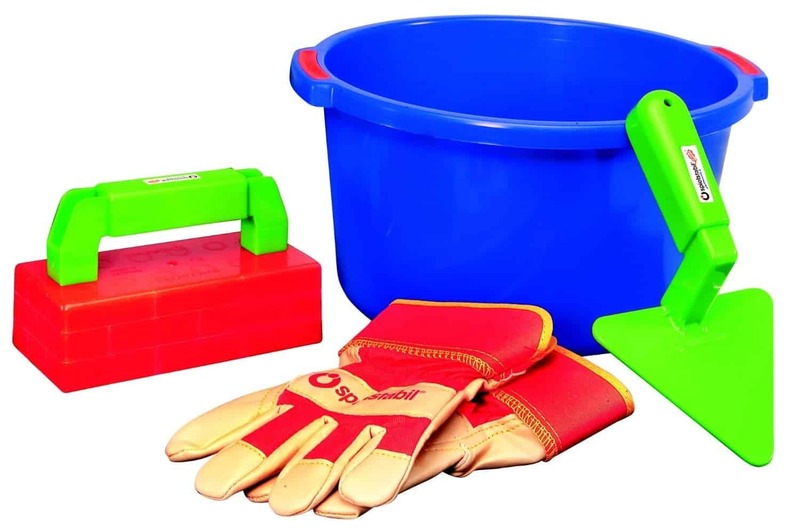 Mortar & Trowel Set – This is just the most adorable little set. 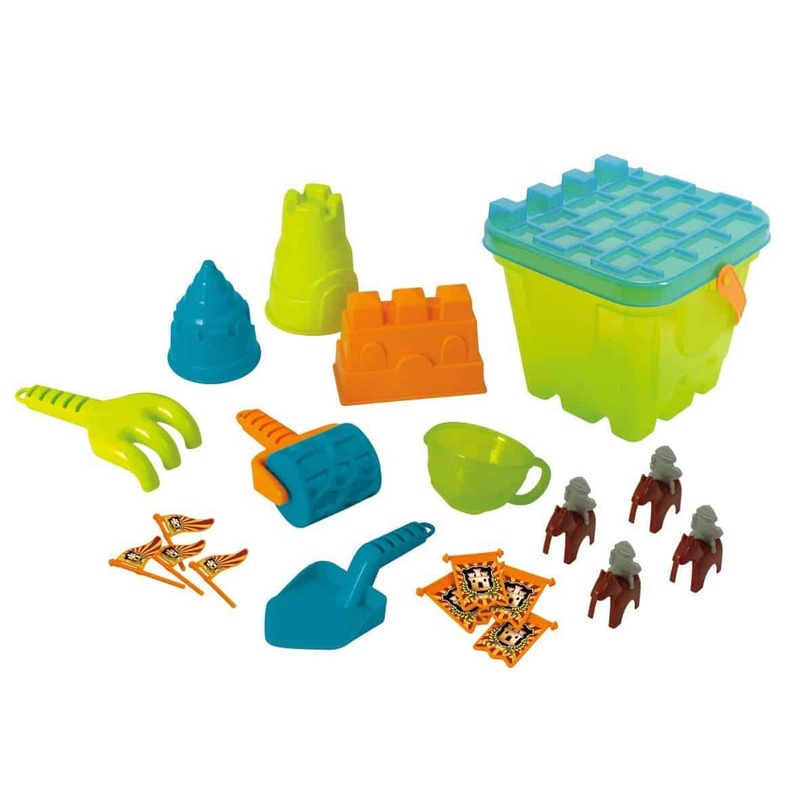 My kids get pretty into their sand castles, so this set is perfect for helping them construct the castle of their dreams! With a brick maker, a trowel, and even gloves for serious digging, they can build to their heart’s content. 6. 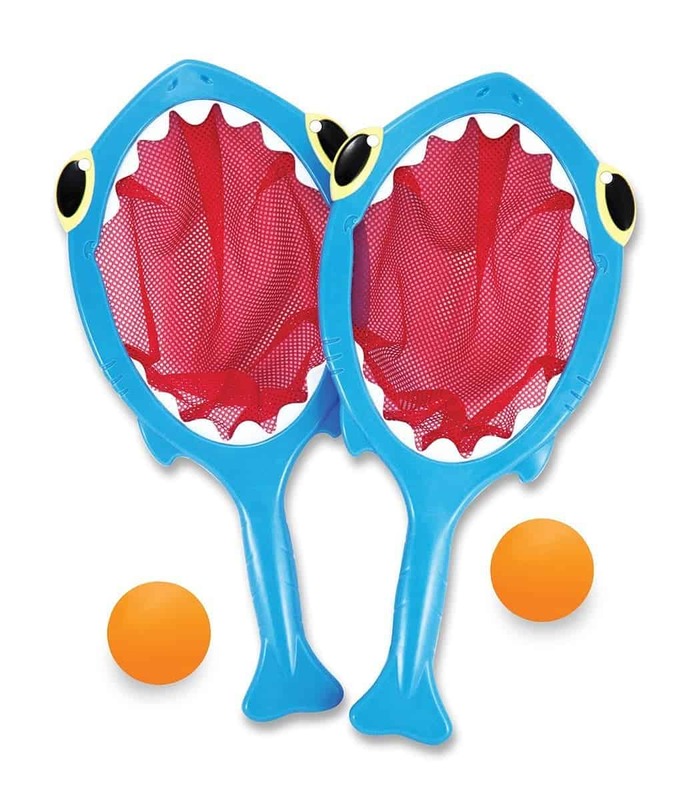 Shark Toss & Catch – Let the only thing that gets caught by a shark be the ball and not yourself! How fun is this toss and catch set from Melissa and Doug?? 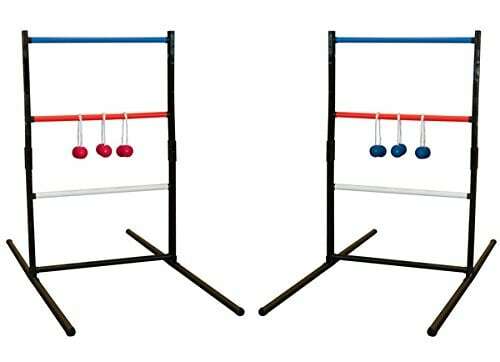 Everyone from toddlers to older kids could have a lot of fun launching the balls to each other with these, and Melissa & Doug are know to be both great quality and great fun! 7. Ladderball This is another great portable game that is perfect for playing at the beach with a cold drink in hand! We love to play this as a family and when we are hanging out with friends. The bonus is that it breaks down to become super compact! 8. 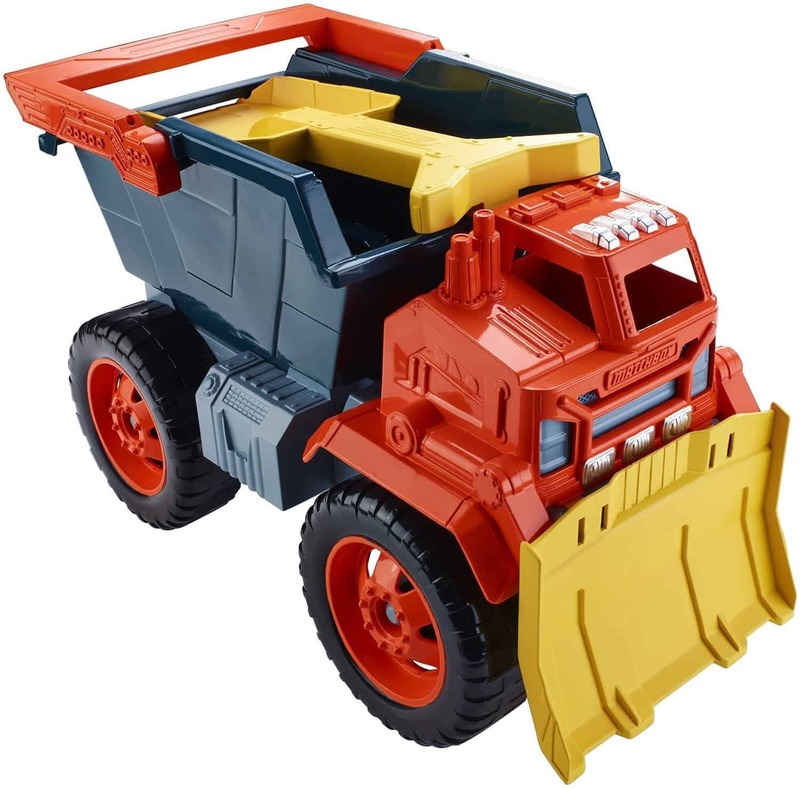 Matchbox Sand Truck – I know a few little boys who would absolutely love this dump truck designed for the sand and the beach! If you have toddler aged kids, this should keep them busy playing in the sand for quite awhile! 9. 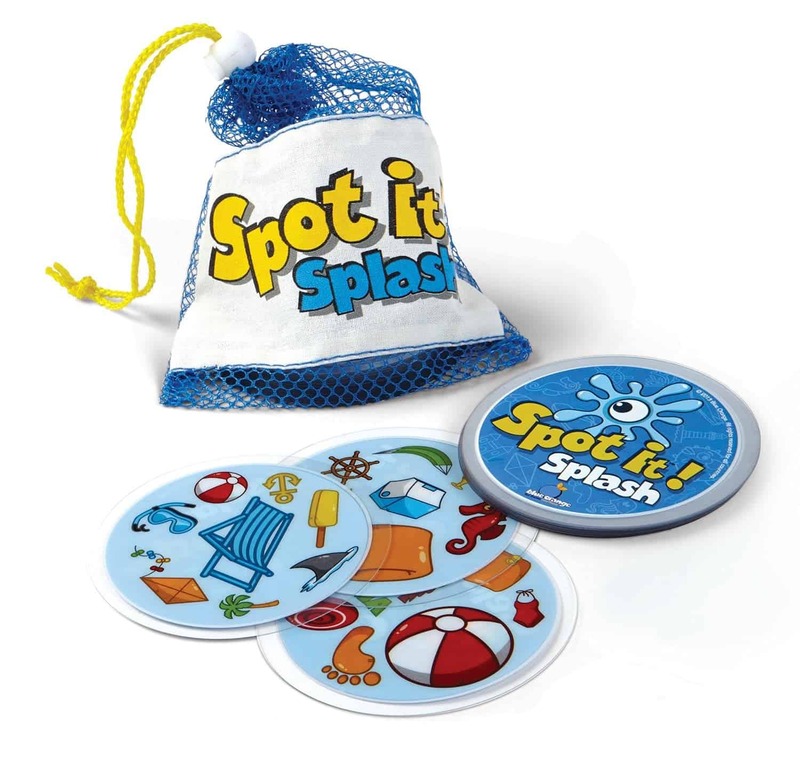 Spot It Splash – Do your kiddos love this game as much as mine do? This water safe and water themed version is perfect for tossing in the beach bag to play at the beach or by the side of the pool! 10. 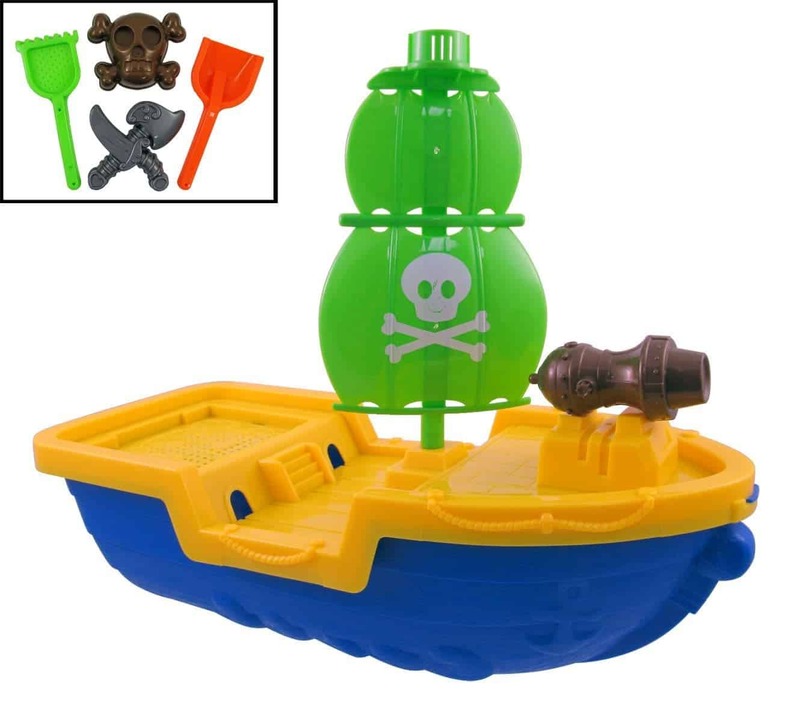 Pirate Ship Beach Toy Set – This pirate set is perfect for the little ones! They can float the boat on the waves or build a moat with the shovels. 11. Deluxe Sand Castle Playset – Who doesn’t love building a sand castle at the beach? This set even has the texturizing lid that will give your castle bricks and texture! What is your favorite game or toy for the beach? Share with me in the comments below.